Who does a good work of Camber/Tos Settings ? Can I know of any garages in Dubai/Sharjah tht can do good camber adjustments for wider rims, this is a 2006 Civic. Again, I wont be flushing/slamming, but lowering, wider rims, and fender rolling will be done. MSW Wheels and NFS Racing are good at suspension tuning. Would love to see some pics! Anybody willing to light me up, how wide can I go, I'm planning 18x9.5 on the rear, should it be KO, cause I want concavity and all the rims I have seen have only concavity on 9.5, however, 1 set of 8.5 can provide custom offset on 8.5 to get some concavity, people are saying 8" is the max on civics, while all rims provides said that wider rims are possible with camber settings, etc..
And one more thing that is beyond my logical explanation, I finally managed to find the kit to import and it costs around AED2500 but the cost to import it is AED5000, that even more than the cost of the goods, so anybody with experience in this matter will to inform me something. How to get it imported cheaply. The guy said they can export it for $450 via sea, 45 days +/-. Any one shedding light on both of these cases ? I'm not an expert, but I think it is possibly to fit 9.5" wheels. Why not test fit an 18x9.5 wheel from sharjah! As for the shipping cost, where are you getting the kit from (Country)? I might be able to help. 1st : TEST fit a 9.5" wheel with the tire spec that you desire...remember! It is you who will deal with the local authorities and the daily drive...not your bestfriend. 2nd: Always make sure "shipping" is used for things or products which are imposible to get locally...coz then your actually wasting a hell lot of money! Is tire stretching good or bad ?, who does it in UAE ? lol don't mean any disrespect to the OP but I agree with Accord..
Just go out and do something with the car, You will learn from your mistakes.. Can't spend full time in google and wait years to get the "Perfect Dream" mods on your car. At this rate, its Most likely after few years you will just sell your car with no mods since you bought it. 1. Do you have the rims? 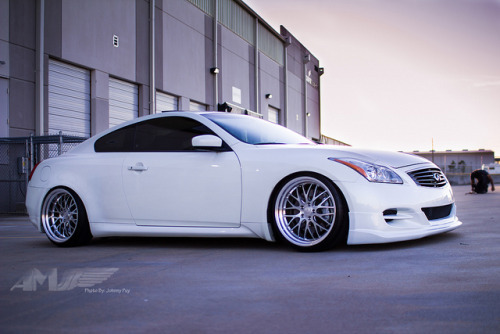 3. do you have the camber kits? Btw if you want that flush look, you need spacers playa! So unlike other Jax, I don't do shyt until Im in it completely, why make a mistake in the first place if you can avoid it by get close to accurate knowledge, if not complete, but P like uza cant help but start rambling on forums, where your replies are JUST NOT REQUIRED, just cause u know suttin....go jacka on it..
Last edited by TryllZ on 27 Mar 2013, 8:51 am, edited 1 time in total. CaL][CaB wrote: 1. Do you have the rims?